Convert your file folders to divided folders quickly and easily. Simply fold on scored line to form a flap, then remove the protective strip over the adhesive and affix. Sturdy 11 pt. manila stock. Heat bonded fastener position #1 of divider. 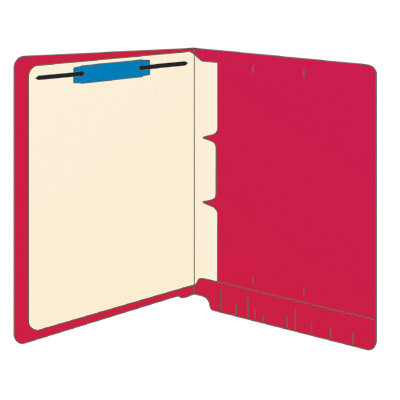 Overall size 8-1/2" W x 11" H. 100 dividers per box.